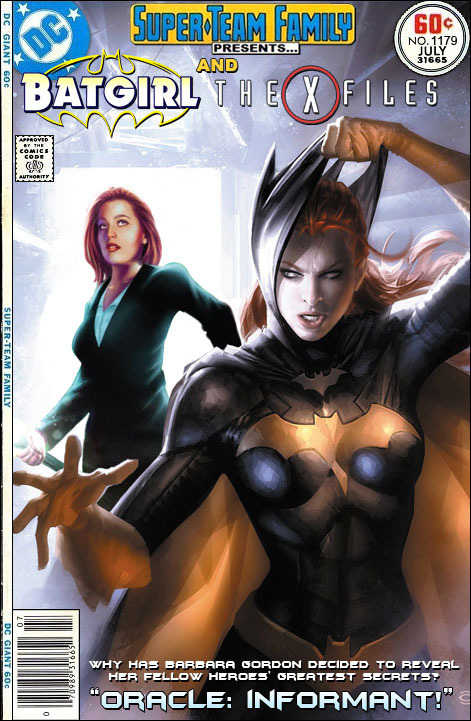 Both Dana Scully and Batgirl (AKA Barbara Gordon) belong in the main Toobworld of Earth Prime-Time even if the tone of their respective series - 'The X-Files' and 'Batman' respectively - differ so greatly. “A few excerpts from the diary of Major Skelton. save that which could be of use in the fight against us. But Sherman was drunk with victory. 'The Twilight Zone' - "Long Live Walter Jameson"
Just by the very fact that they act out fictional scenarios in Toobworld, members of the League of Themselves are not the same people they are in the Trueniverse. But some of them as they appear in Earth Prime-Time could never exist here in the Real World. 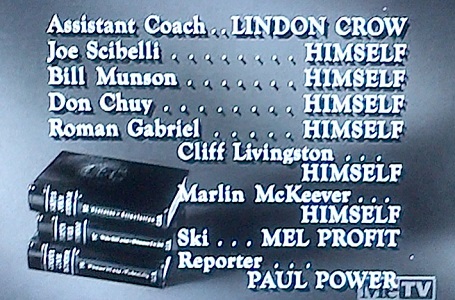 In 1965, several professional football players appeared as themselves in "The Case Of The 12th Wildcat". They may have been members of teams from Detroit and Cincinnatti and Chicago ("Oh my! ), but in this episode they were not members of the teams for whom they played in the Real World. Each of them was a member of the California Wildcats, a football team which connects 'Perry Mason' to 'Monk'. At the time of the episode, most of them were playing for the Los Angeles Rams in the real world. The California Wildcats were located in San Francisco, and we saw the players on a train heading down to L.A. from their home base. Joseph Albert Scibelli (April 19, 1939 in Springfield, Massachusetts – December 12, 1991 in Boston, Massachusetts) was an American football tackle and guard who played fifteen seasons in the National Football League with the Los Angeles Rams. 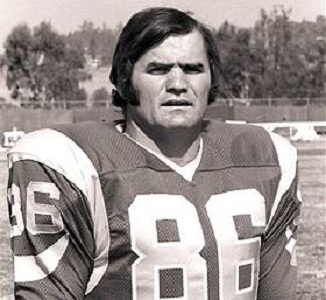 He helped the Rams win the 1967 and 1969 NFC Coastal Division and the 1973-75 NFC West. During his tenure with the Rams they led the NFL in scoring in 1967 and 1973, total yards gained in 1973 and the NFC in yards rushing in 1973. In 1965 he and several of his Ram teammates had cameo roles as football players in the 'Perry Mason' episode, "The Case of the 12th Wildcat." He died in 1991 of cancer at the New England Baptist Hospital. 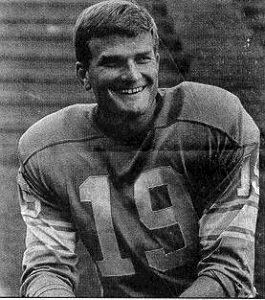 William Alan Munson (August 11, 1941 - July 10, 2000) was a professional American football quarterback who played in 16 NFL seasons from 1964 through 1979 for five different teams. He was 6'2" and weighed 203 lbs. He was best known for his years as a starter for the Detroit Lions in the mid-1970s. 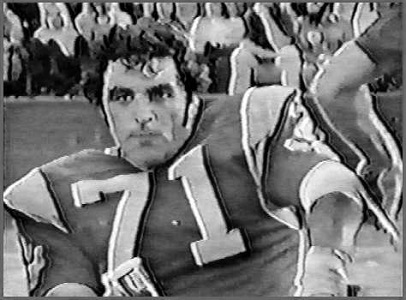 While with the Los Angeles Rams in 1965, he and several of his teammates played cameo roles as football players in the 'Perry Mason' episode, "The Case of the 12th Wildcat." On July 10, 2000, Munson was found drowned in his swimming pool. Donald John Chuy (July 20, 1941 – January 6, 2014) was a professional American football player who played guard for seven seasons for the Los Angeles Rams and the Philadelphia Eagles. While playing for the Rams in 1965, he and several of his teammates played cameo roles as football players in the 'Perry Mason' episode, "The Case of the 12th Wildcat." He died at his Myrtle Beach, South Carolina home in January 2014. He was 72. 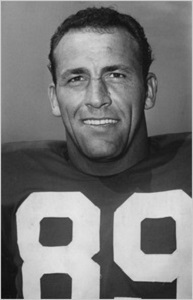 Clifford Lyman Livingston (July 2, 1930 – March 13, 2010) was a professional American football linebacker in the National Football League for the New York Giants, the Minnesota Vikings and the Los Angeles Rams. He was born in Compton, California, and played college football at UCLA. In 1965 while with the Rams, he and several of his teammates appeared in cameo roles in the 'Perry Mason' episode, "The Case of the 12th Wildcat." He died at his home in the affluent neighborhood of Southern Highlands in Las Vegas, Nevada on March 13, 2010. Marlin Thomas McKeever (January 1, 1940 – October 27, 2006) was an American football defensive end, fullback and punter at the University of Southern California and a tight end and linebacker during his 13-year National Football League (NFL) career. He was born in Cheyenne, Wyoming. Marlin appeared with several of his Los Angeles Rams teammates as football players in the 1965 'Perry Mason' episode, "The Case of the 12th Wildcat." On August 18, 1966, Marlin was a passenger in Roman Gabriel's car and lost a finger when Gabriel crashed into a parked car. On October 26, 2006, he fell at his home and slipped into a coma shortly thereafter. Doctors in the intensive care unit at St. Mary Medical Center in Long Beach, California, reported a blood clot on his brain. He died from his injuries the next day. His interment was in Culver City's Holy Cross Cemetery. Roman Ildonzo Gabriel, Jr. (born August 5, 1940) is a former American football player. The son of a Filipino immigrant, he was the first Asian-American to start as an NFL quarterback and is considered by many to have been one of the best players at that position during the late 1960s and early 1970s. He was the second overall pick in the 1962 NFL Draft and played for the Los Angeles Rams for eleven seasons, then five seasons for the Philadelphia Eagles. Gabriel had previously appeared as a headhunter in the November 14, 1966 "Topsy-Turvey" episode of CBS' 'Gilligan's Island'. 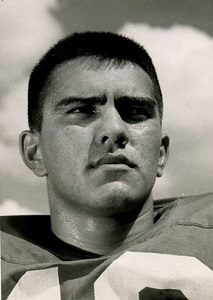 Together with several of his Ram teammates, he made a cameo appearance as a football player in the 1965 'Perry Mason' episode, "The Case of the 12th Wildcat." And in 1970 in an 'Ironside' episode, "Blackout". One of the alternate TV dimensions that has been explored several times has been "the evil mirror universe", or Evil Toobworld as it is classified for the TwD. 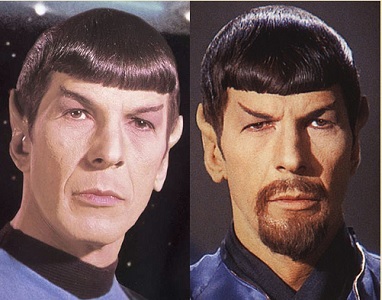 It probably began with "Mirror, Mirror", an episode of the classic 'Star Trek' series and then was expanded during the run of 'Deep Space Nine'. But other shows visited there as well. 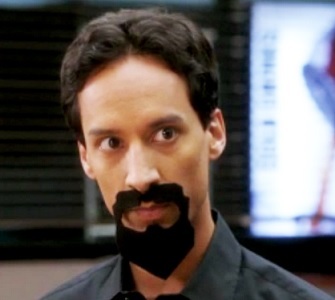 Over the years we've met the Evil Willow from 'Buffy The Vampire Slayer' and even Evil Abed from a couple of episodes of 'Community'. The earliest known visit to the Evil Toobworld from the perspective of the Toobworld timeline would have been back during the Age of Legend (as seen in 'Hercules: The Legendary Journeys'.) There we met not only the evil Hercules, but the exact opposite of Ares, God of War - Ares, the God of Love. Somehow Evil Jimbo got out of prison. But instead of becoming a private eye, he became a hit man. His going rate for a contract killing was $200.00 plus expenses. He may have worked cheap, but he made up for it in volume. And as for the relationship with his father? I think it would have been an abusive one when Jim was growing up, always getting beaten by his drunken (and of course, EVIL) dad; Joe Rockford wasn't called "Rocky" in that world just because of his last name. And that's how things probably stood at least until Evil Jimmy had a growth spurt to tower over his dad and filled out with some muscles. 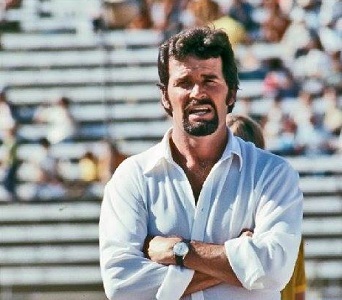 All in all, I think it's better to just know the Jim Rockford of the main Toobworld, don't you? 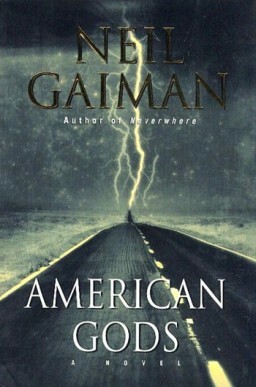 TUESDAY NEWS DAY - GAIMAN'S "AMERICAN GODS"
BookWorld since 2001, but Starz will be making sure that it will have a counterpart in the Toobworld Dynamic. Production on the series will begin just as soon as they can lock down the casting for Shadow Moon. "American Gods" is a Hugo and Nebula Award-winning novel by Neil Gaiman. The novel is a blend of Americana, fantasy, and various strands of ancient and modern mythology, all centering on the mysterious and taciturn Shadow. Several of the themes touched upon in the book were previously glimpsed in "The Sandman" graphic novels. The central premise of the novel is that gods and mythological creatures exist because people believe in them (a form ofthoughtform). Immigrants to the United States brought with them spirits and gods. However, the power of these mythological beings has diminished as people's beliefs wane. New gods have arisen, reflecting America's obsessions with media, celebrity, technology, and drugs, among others. Among the characters along with Shadow Moon is Mr. Wednesday, who could be Odin All-Father of Norse mythology. Technically Odin already exists in a TV dimension as the Marvel movies are absorbed into Comic Book Toobworld. Other gods from other mythologies could be involved, so there's another reason why this couldn't be allowed into the main Toobworld, where so many of those demi-gods have already been portrayed. So I'm thinking this will be taking place in a Borderland in much the same way as happened with "Jonathan Strange & Mr. Norrell". "Glenda Jackson couldn't have done it better." 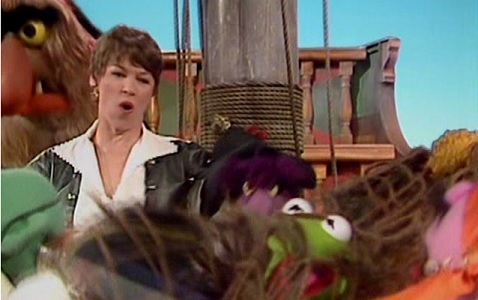 Glenda May Jackson, CBE (born 9 May 1936) is a British Labour Party politician and former actress. She first became a Member of Parliament (MP) in 1992, and represented Hampstead and Kilburn until 2015. As a professional actress from the late 1950s, she spent four years as a member of the Royal Shakespeare Company from 1964, being particularly associated with the work of director Peter Brook. During her film career, she won two Academy Awards for Best Actress: for "Women in Love" (1970) and "A Touch of Class" (1973). Other award-winning performances include Alex in the film "Sunday Bloody Sunday" (1971) and the BBC television serial 'Elizabeth R' (also 1971); for the latter she received an Emmy. So this means that there definitely is a televersion for Glenda Jackson. Her only TV appearance as herself (apart from talk shows, variety programs, and news specials) that technically qualifies as being a part of Earth Prime-Time would be when she appeared on 'The Muppet Show' in its fifth season. She proclaimed herself to be the dread pirate Black Jackson and proceeded to take over the theater as though it was a galleon. At any rate, she is acknowledged as a great acting legend in both Toobworld and the Trueniverse. and the TV movie "Gideon's Trumpet" which starred Henry Fonda, Jose Ferrer, and John Houseman. But she also cemented her televersion in Earth Prime-Time with more than just appearances in talk shows and retrospectives like 'This Is Your Life'. Miss Wray played herself in an episode of 'The Real McCoys' starring Walter Brennan. 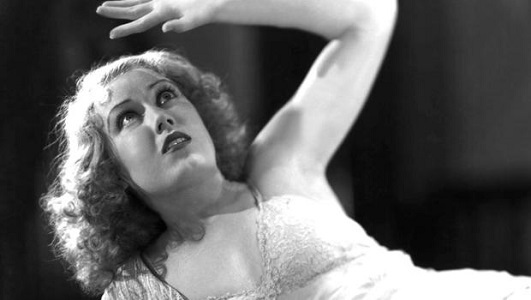 Amos is not thrilled that Luke offers the McCoy barn for a Grange fund raising play but Amos' resistance softens when he learns Fay Wray will join the production but then becomes envious of George's lead opposite the actress.